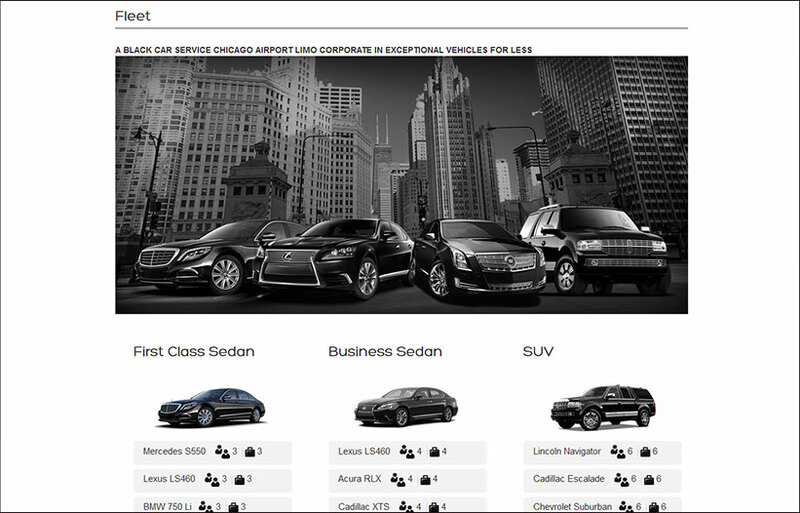 A perfect example of an SEO-friendly website (Legendary Private Car), with expanded service area pages, without the cluttered and confusing menu. This layout represents every a dream come true for every SEO firm close by. 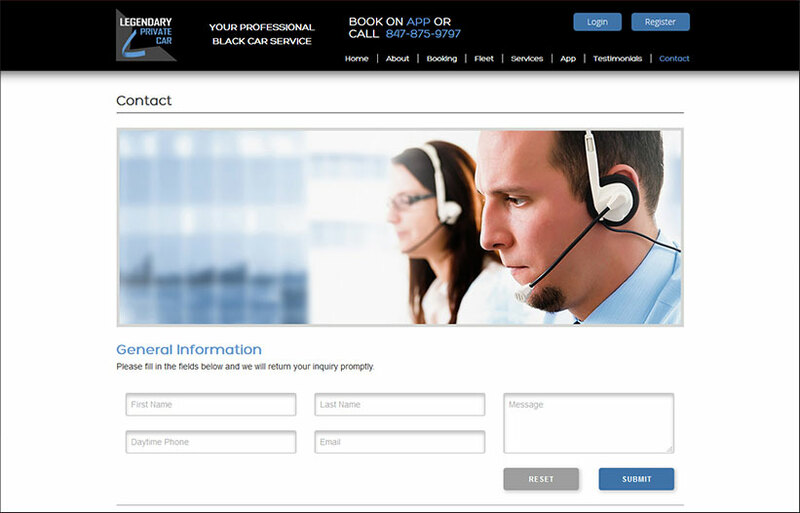 The second and third level of navigation eases the page navigation, and content is distributed sensibly, who wouldn’t want to call this website their own? Optimized for all devices and screen sizes. 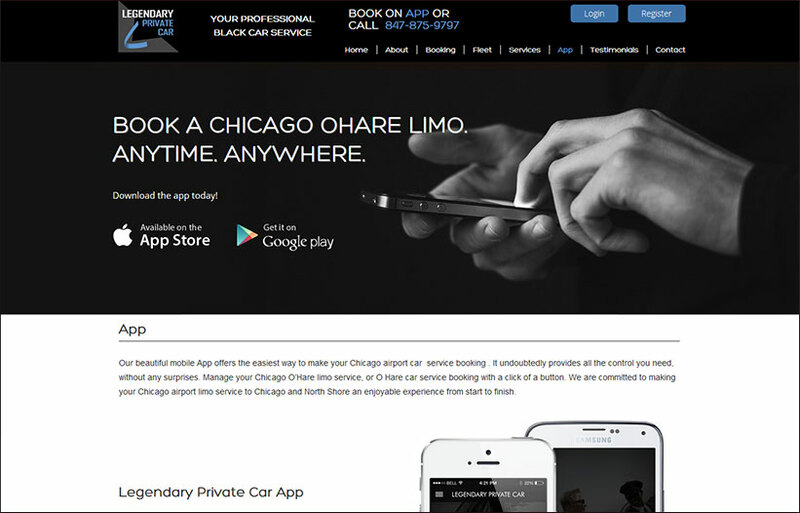 Content is visible and distributed evenly across the screen no matter which device potential customers use! Mobile, tablet, laptop or desktop, all the pictures, texts and widgets on this website will look gorgeous, no matter the screen size! Choose LimoLabs to handle your web design & SEO marketing services near my location, and you’re golden! 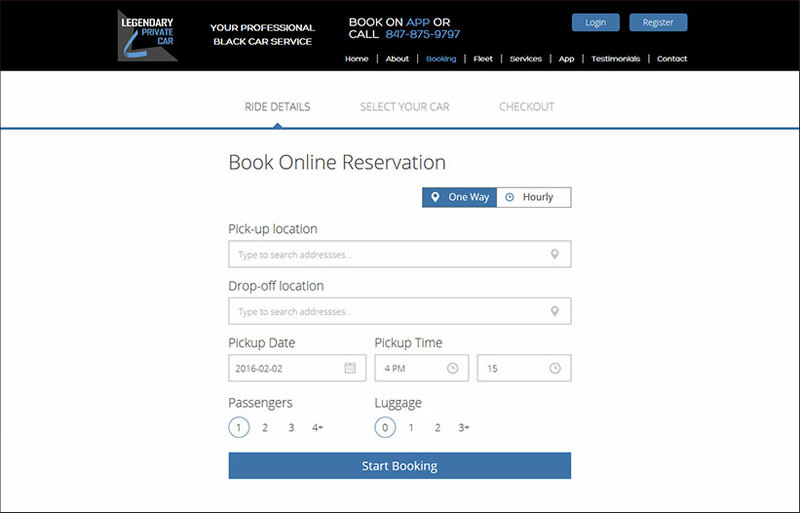 Easy to use booking widget means more rides! 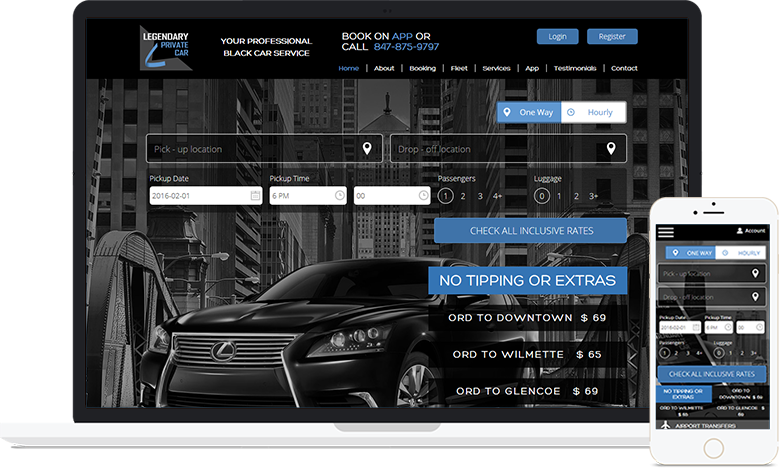 It’s very simple to check live rates and book a ride, and clients like when business have their cards out and prices easy to find. 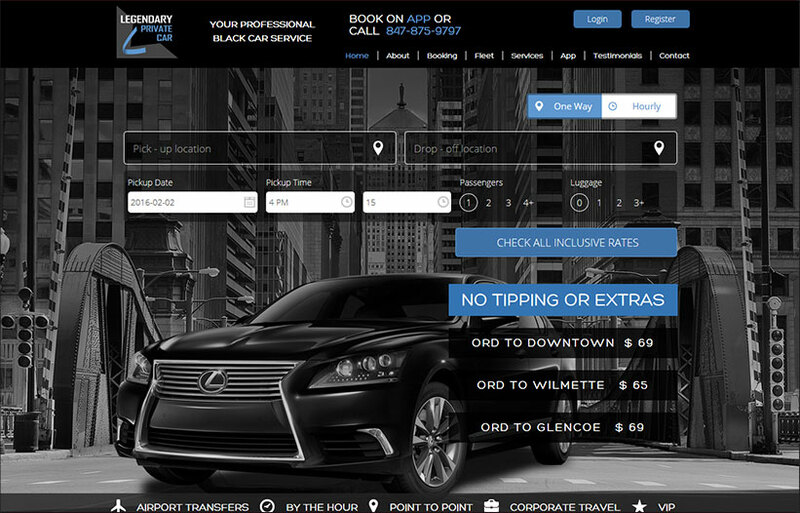 Somebody can reserve a ride in your luxurious vehicles in a matter of minutes. A Couple of clicks is all it takes. Literally.